There’s something about the holidays that supports a girl’s fixation to make all things sparkly, shimmery, glittery, and glam. Bring on the glitz! From decking the halls to turning heads at your next party (New Year’s Eve, perhaps? ), we’re sharing our current beauty obsessions to enhance our look during this festive season. 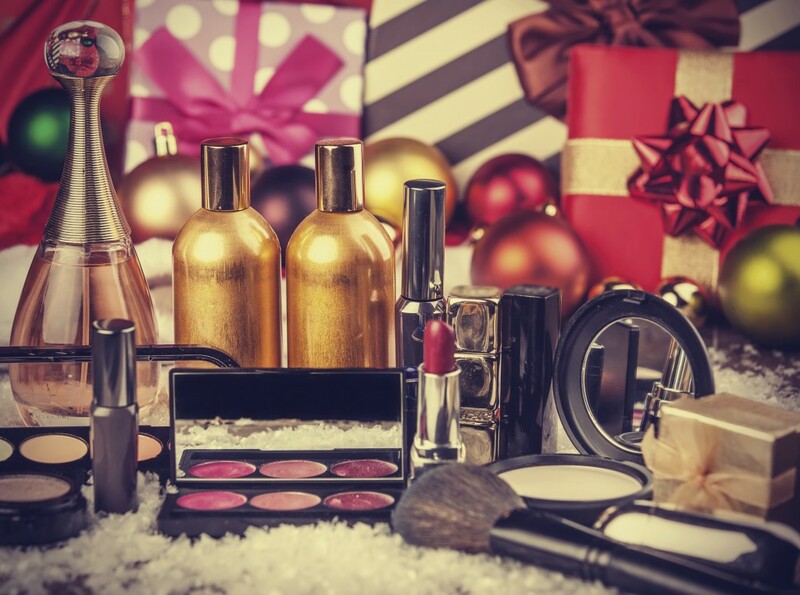 Use this holiday beauty guide for gift ideas (even if it’s for yourself!). Sugar, spice, and everything glam: The brand’s Lip Pencil Plus product now comes in a trio—the holiday-esque Spice Sachet, Sweet Marmalade, and Sugared Plum—in an equally holiday-inspired sequined red case. A beauty-loving girl knows that it doesn’t matter how amazing your makeup looks if your skin appears tired and dehydrated. Prep your complexion with this particular CARITA collection; the kit provides four anti-aging products infused with mineral-rich lagoon water from French Polynesia: Ideal Hydration Rich Lagoon Cream, Ideal Hydration Lagoon Scrub, Ideal Hydration Lagoon Bath Mask, Ideal Hydration Lagoon Serum. I say this recently released mascara—another product from Merle Norman—is as much a must for minimalist makeup fans as it is for those who like a intense, glamorous look. An advanced formula has a microsphere technology known as KOBO MSS-500—which basically means it grips to lashes to plump and increase volume without frustrating clumps. The mascara has a thick heavy handle so you can grip it firmly (no flimsiness here), accented by a curved brush that curls and lengthens (my outer lashes look especially amazing). The best part: its staying power. Hard Candy is making makeup lovers merry and bright with its 10-piece set designed for holidays 2015. Get glam with one eye shadow palette with 12 shimmery hues (ranging from neutral to dramatic); eight glitter eyeliner pencils; and one sponge applicator (and a partridge in a pear tree—just kidding!). Tip: Use the darker shadows with a wet brush to create a bold effect, and use a primer before applying these shadows to not only make them last longer but to create a less thick look. Here’s the best part—it retails for $9.88! A bit of gloss goes a long way in making a statement: Another inexpensive product to add to our seasonal look, this lip stain collection (just $3) comprises four hydrating lip stains in various pinks, from bright to peachy.